SKY 360° of eCity Hotel at One City is offering a tantalising Buka Selera Buffet this Ramadan. Located at the rooftop of the hotel, SKY 360° takes dining to greater heights with a stunning view of the Southern Klang Valley. “Our chefs have carefully put together a delightful feast for guests at SKY 360°, consisting of a myriad of flavours that’s sure to please everyone’s palate,” says HT Khor, general manager of eCity Hotel and Meetings, Incentives, Conferences and Events (M.I.C.E.). Begin your feast with a generous selection of soups, starters and salads – Sup Ekor Berempah, ulam-ulaman, pasembor penang, Malaysian salads, kerabu, keropok lekor, pickles, and Western salads such as Oyster Mushroom with Olive Oil, Garlic and Balsamic Vinegar, Curried Chicken Salad and Mango Salsa with Avocado Salsa, and Mixed Bean Salad with Basil Pesto, Tomato, Lime and Chili Prawn. There is also a salad bar with a selection of lettuce with condiments and dressings to put together to your own liking, and a fresh seafood counter with prawns and mussels to enjoy. SKY 360° tantalises the palate with a myriad of flavours to choose from. 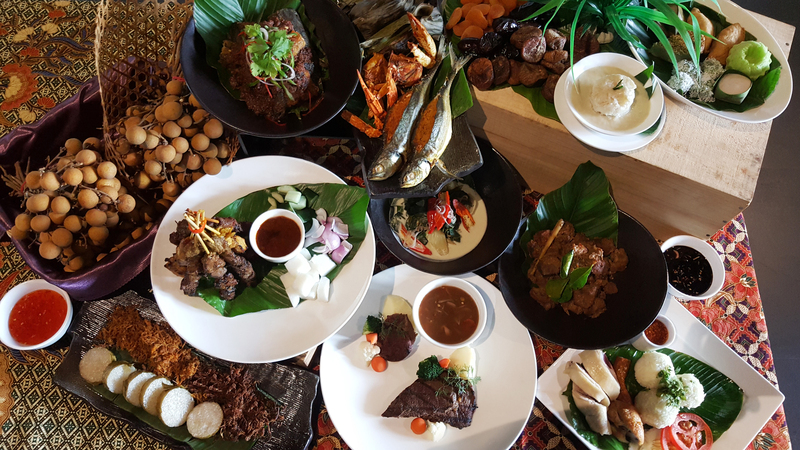 The Ramadan Corner offers the expected favourites such as lemang, serunding ayam, serunding daging and a very special kuah kacang that will have you coming back for more. 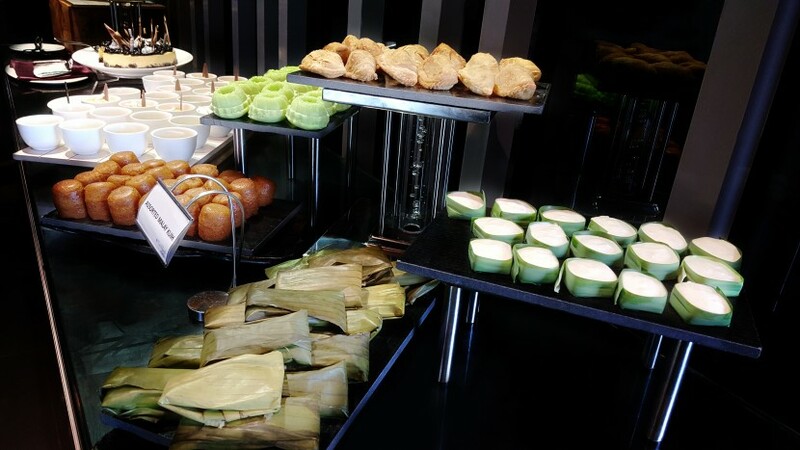 On the buffet line, there are wholesome dishes such as Nasi Hujan Panas, Ayam Percik with Almond Flakes, Kurma Daging with Potato, Sambal Sotong Petai, Oven Roasted Leg of Lamb, Ikan Pari Asam Pedas, Udang Goreng Kacang Buncis, and Potato Masala. Local dishes served in a stall concept are Pan Mee, Char Kuew Teow and Hainanese Chicken Rice. 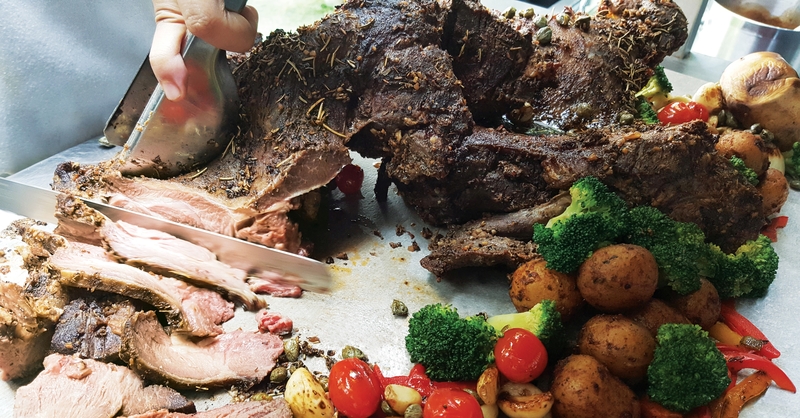 For those with an international palate, a must try is the Roasted Leg of lamb with Thyme and Mint Sauce as well as the exquisite Peking Duck. There is also the teppanyaki station, pizza station, and pasta counter to choose from. 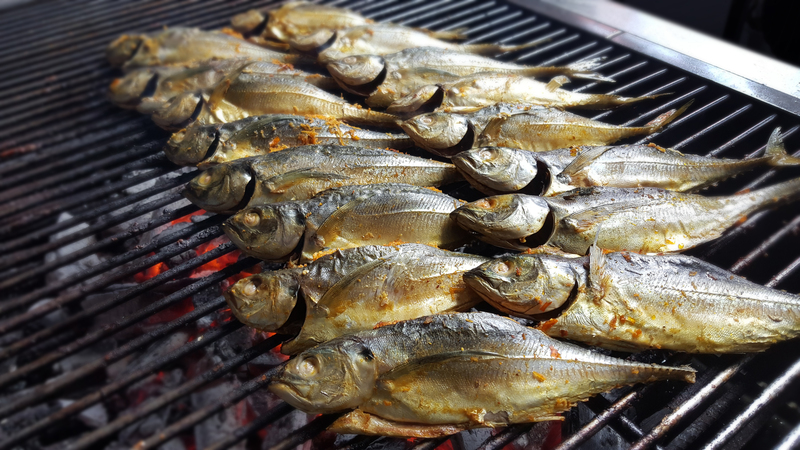 At the open air patio, diners will be spoilt for choice with the Barbeque Corner, serving freshly grilled Daging Bakar, Ikan Cencaru Kelapa, Ikan Pari Bakar, Ikan Tilapia Bakar, Udang Percik, Ketam Bunga Bakar, Satay Ayam, Satay Daging and Satay Kambing. The outdoor Barbeque Corner, serves freshly grilled fish, prawns and meats. Make sure to also indulge in delectable desserts from the Snow Ice Station, the Malay Kuih Section (Kuih Seri Muka, Kuih Sago, Pulut Panggang, Kuih Ketayap, Lepat Ubi and Tako Siam), and the Western Dessert Selection (Fruit Tartlets, Crème Caramel, Blueberry Cheese Cake, Pineapple Tarts and Cherry Clafoutis). Also available are hot desserts such as Pengat Keladi, Putu Piring Putu Mayam and Soya Bean with Snow Fungus. Last but not least, quench your thirst with tasty drinks such as Air Bandung, Air Tebu, Air Cincau, Sirap and Air Kurma, and end your satisfying meal with hot coffee, tea and teh tarik. Delectable local desserts to indulge in. Priced at RM128nett per person, the Buka Selera Buffet will be available from June 6 till July 5. For every 10 paying adults, the next diner dines for free. Children (below the age of 12 years) and senior citizens (60 years and above) enjoy 50% off, and children below the age of 3, eat for free. For more information and to make reservations, call 03-5115 9887 or email at sky360@miceatonecity.com.